MR GASKET Co. - $10.00 : Bob Hoyts Classic Inspection Stickers, Add a Final Touch to your Restoration! 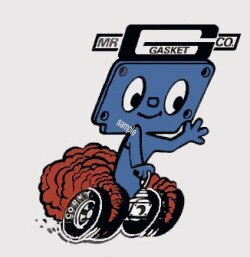 Home :: Muscle Car Stickers :: MR GASKET Co. This sticker is a for A Mr Gasket Co. This sticker has been carefully restored and reprinted directly from an original. We do not believe this to be an old company but there is no copyright symbol on it so we assume they would like the advertising. It is approximately three" by 2 1/2" and has our patented "Peel and Stick" format that allows it to be attached to the inside window of your classic car.